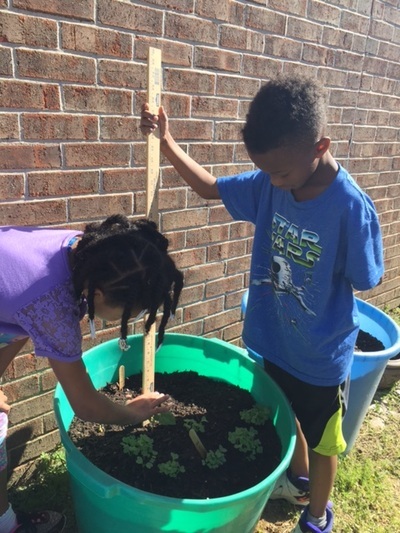 GROW GREEN is a supplemental program for second grade students who have been identified as Gifted and Talented or for students who scored well on the fall administration of the CoGAT test. Currently eleven students are participating in researching the basic needs of plants, creating vegetable and flower beds, and growing plants! The program uses the Project Wild guide, Growing Up Wild, as a reference. 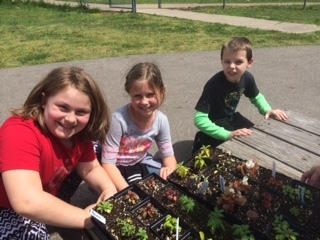 Students will observe and maintain environments that nurture plants, monitor plant growth, and digitally document their projects to share with others. 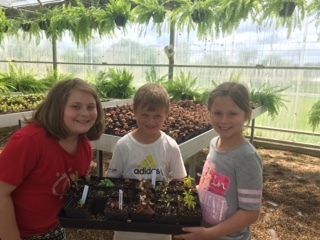 Thanks to the collaboration of the Sulphur Springs High School’s Horticulture Program and Melissa Robbins, Travis students toured the high school greenhouse, learned how greenhouses operate, and purchased plants for their garden. The program will continue throughout the sixth six weeks. After researching the 1920's, reading F. Scott Fitzgerald's well-loved novel, The Great Gatsby, and constructing an analysis PowerPoint project over the novel, English III students enjoyed attending their own Gatsby party. 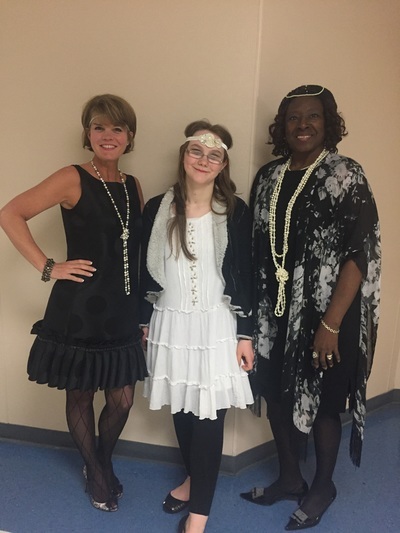 The six-week unit was celebrated in grand style with students donning 1920's style apparel while watching clips from the 2013 released movie starring Leonardo DiCaprio. The students enjoyed critiquing and discussing the different interpretations noted between the film and literary versions of this masterpiece. ​Brooke Doughtie recently assisted Brandy Griffin's first graders in taking a Skype field trip to Buffalo Bills Center of The West Museum, located in Cody, Wyoming. With Skype in the classroom, the students are able to travel to many different educational places around the globe! After studying animal adaptations, this trip took the first graders 1,333 miles to learn about the different animals found in the Yellow Stone National Park. The class was guided through the museum looking at animals such as the brown bear and discussed their adaptations with a live guide. The students were able to ask the guide questions about the animals as they were walking through. The size of the brown bears' paws and skeleton of his head really amazed the students. ​The students said that their favorite animal to learn about was the wolf. They were able to relate it to the local coyote and found many similarities in their adaptations. The students were enthused and engaged during this virtual field trip and look forward to many more of these classroom learning experiences. ECLC Head Start Students Participate in the "1K before K Reading Program"
The “1000 Books before Kindergarten Reading Program” at ECLC is a collaborative project with Sulphur Springs Public Library. 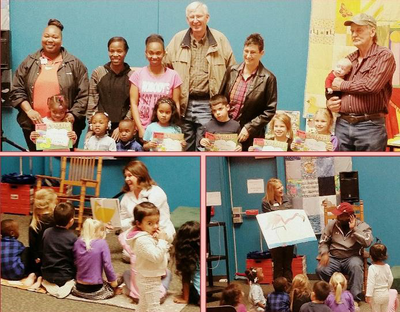 The program is designed to encourage parents and/or primary caregivers to provide positive, nurturing, early experiences, by reading aloud to their children on a regular basis. ​Research shows that the most reliable predictor of school success is being read to at home during their early childhood years. It also shows that reading to children from an early age can help to close vocabulary gaps, as well as, prepare them to enter kindergarten with the school readiness skills they’ll need to succeed; equally important, research shows that sharing books with children, can promote a lifelong love of books and reading. 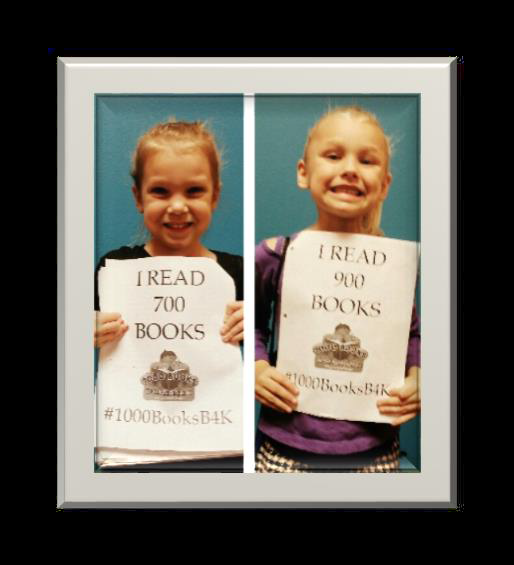 ​To date, thirty-eight parents/grandparents are actively participating in the “1 K before K Reading Program,” and approximately 5,000 books have been read. A strong collaboration has developed between Head Start and the Sulphur Springs Public Library, with parent visits and parent meetings taking place at the Library being documented with sign-in sheets. Head Start staff looks forward to continuing the “1 K before K” collaborative journey with the Public Library for future students and their parents. In the Knowledge Age there is one constant. 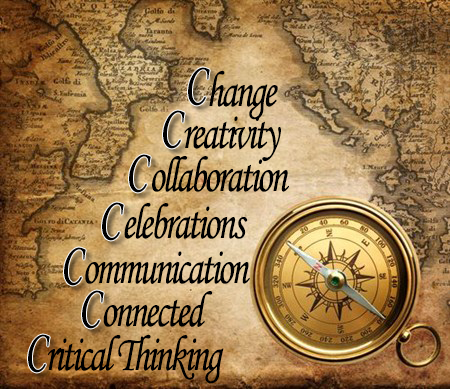 Educators must embrace this constant to ensure student learning needs are met. That constant is Change. Consider for a minute how much has changed in society since Social Media became popular. 2008 - Facebook surpasses MySpace in popularity. Take a moment to wrap your mind around those facts. Before the mid 2000's nobody could have understood the impact Social Media would play on society today. ​The rest of the article was first posted here, click to read more. SPRING HAS SPRUNG at Lamar Primary!!! Miss Teer’s and Ms. Tanton’s First Grade classes are providing their students with hands-on experiences as they study their Science unit –‘Investigating Plants’. 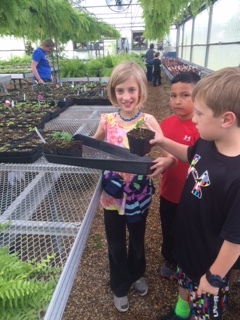 During their unit, students are expected to identify and compare the parts of plants. Miss Teer and Ms. Tanton assisted their students in planting vegetable plants and through close daily observations, the students have been able to see the vegetables grow and develop. 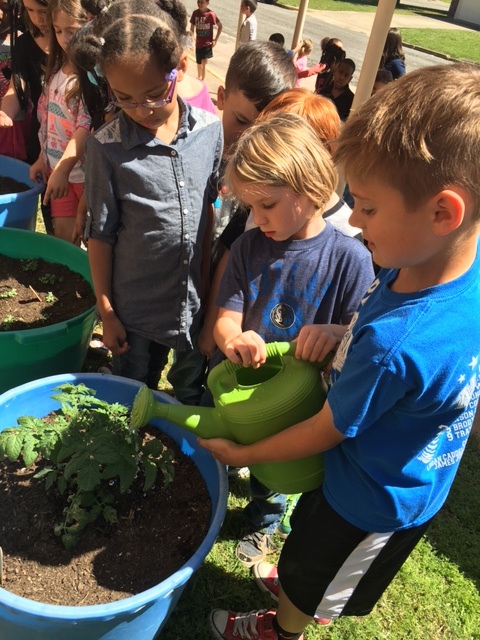 ​Students take turns daily watering and measuring the plants. 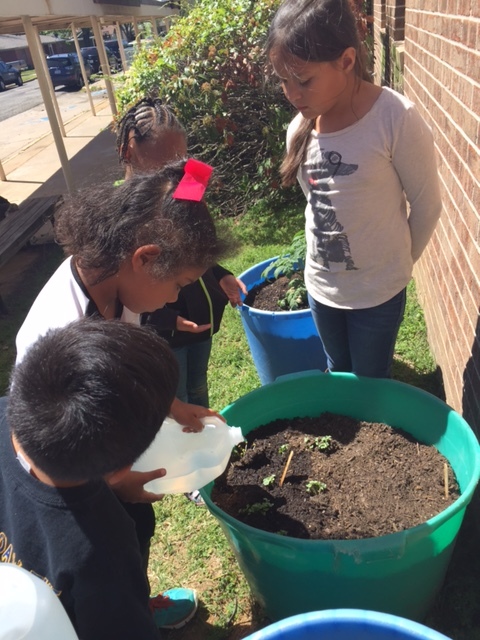 Students discuss with each other how the plants have grown or not have grown so much. They are excited to see what plant will be the tallest and if their predictions are right or not!! 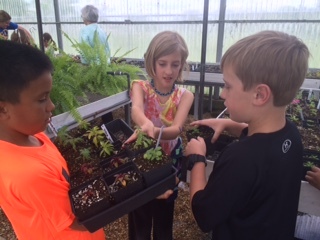 Once in the classroom, students record their measurements and observations on a chart to have a log of each plant’s growth and change throughout the experiment. ​Springtime is truly a ‘growing’ time not only in plants but in the development of 1st graders. What a special and fun time of year!! 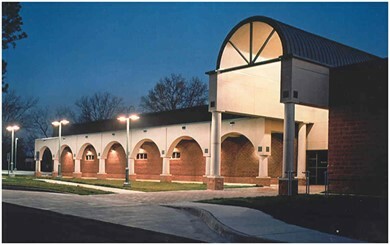 In 2011, Sulphur Springs Independent School District began implementing the Gomez & Gomez Model for its Dual Language Enrichment program in grades pre-kindergarten through fifth. Early Childhood Learning Center (ECLC) DLE teachers have witnessed impressive growth using this model and shared some strategies with general education teachers during a recent PLC. DLE Kindergarten students are engaged in writing daily throughout the year. Journal writing activities are a reflection of their learning in all core subjects. 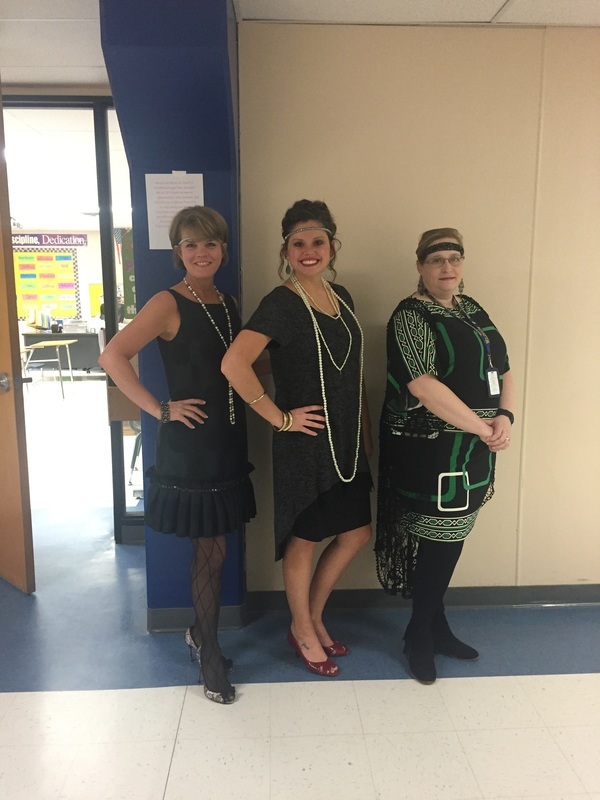 Teachers use starter sentences to engage students in writing. They also have a Language of the Day (LOD) journal and write in either English or Spanish, depending upon that day's language. Daily writing is one of the many components of the Gomez and Gomez Model. In photographs kindergarten DLE teachers shared, you will see students sequencing the pictures from the story, “The Little Red Hen." When finished, children wrote complete sentences describing what was happening in each picture. Other pictures include a snapshot of a journal entry from beginning of year and present day. The implementation of this model continues to demonstrate its effectiveness based upon successful short and long-term student achievement. the testing company, ETS, and not SSISD. Behind the scenes, the technology department is literally "on guard" monitoring for issues that could try and sneak up on us. A key component to the success of online testing is bandwidth. Bandwidth has to be monitored so that the data for online testing can flow smoothly. with their "clubs" and bop them on the head. 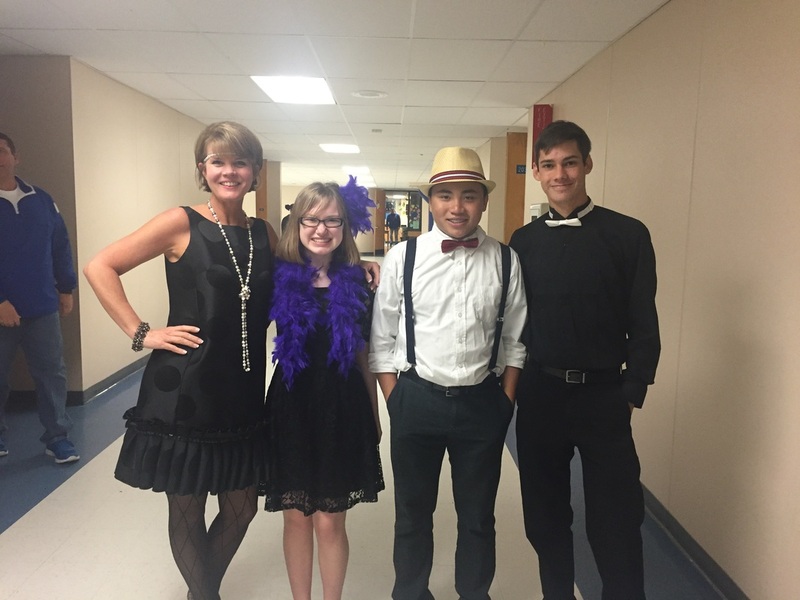 Its a steady game of Whack-A-Mole daily during testing and SSISD is very grateful for it. We can contribute our local successes to the preparation of this fine department, and the knowledge of who and what the "moles" are. When May roles around, I hope the department continues its success in this version of Whack-A-Mole! Science live is always an exciting time at Douglas. The teachers prepare for Science Live lessons and get last minute pep talks from our Awesome Science team- Mr. Thomas and Mrs. Phillips. This week's Science lessons have the "labby" feel, so everyone was asked to wear their lab coats. After reviewing the Science Live power-point, teachers were asked to practice making the foldable that their students will be making. Our teachers did a great job of following instructions and everyone's foldable turned out perfect. The student's foldable will serve as an awesome reminder of the daily experiments, lessons and facts they learned during Science Live. 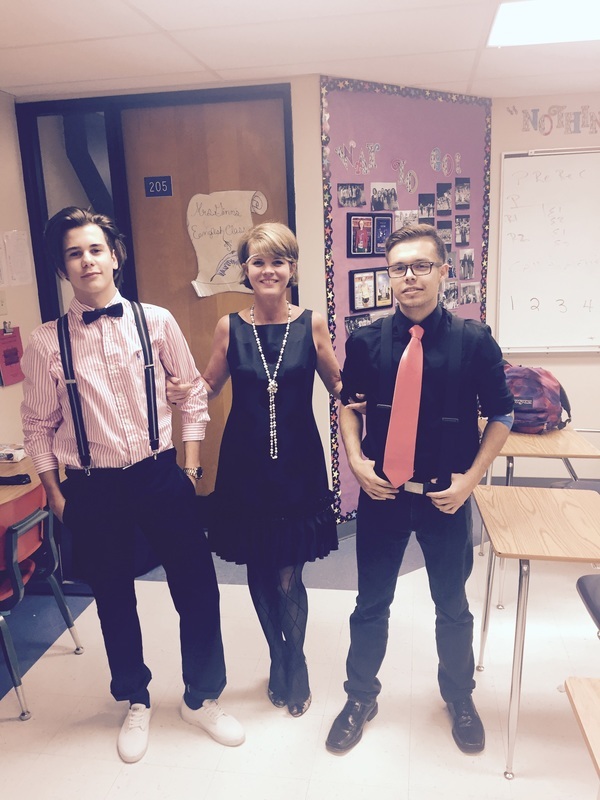 We are so excited to see our students engaged, having fun and learning. 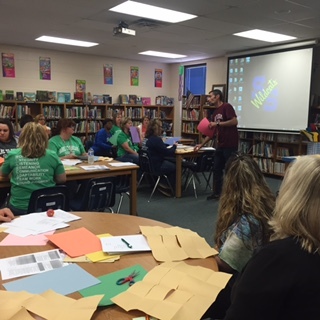 Mr. Thomas leads our teachers...preparation for Science Academy. "How to make your Science Live Foldable!" ​Bowie second graders have experienced real-life learning about animals and animal habitats. 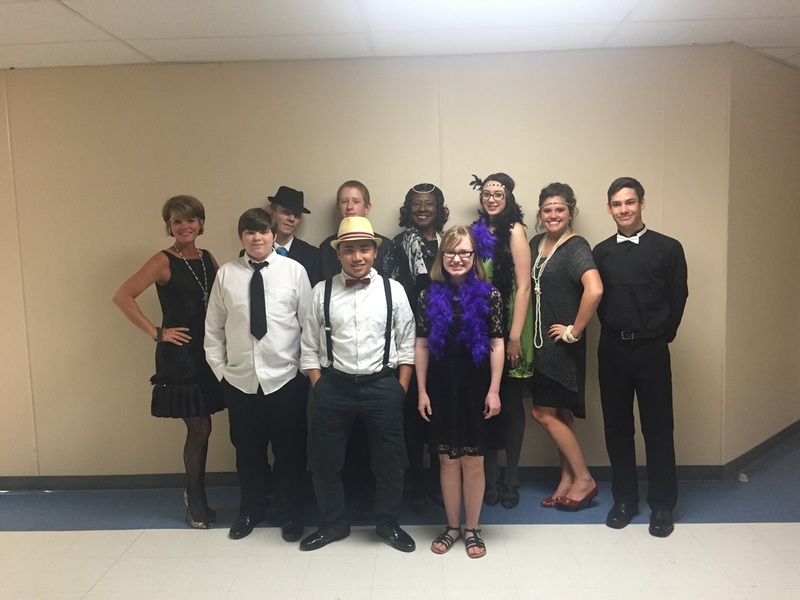 Three classes were proud recipients of a generous grant presented by the SSISD Education Foundation. The grant afforded the second grade classrooms class pets, along with all of the necessities for the animals to live in a safe environment. Two hamsters, a chinchilla, a floppy-eared rabbit, a tortoise, and a guinea pig have come to be a special part of the students’ daily learning. Aesop’s Fable, The Tortoise and the Hare, came to life when students were given the opportunity to attend a race between Mrs. Bolton’s tortoise and Mrs. Smith’s hare. Just as the popular fable, the tortoise indeed did beat the hare to the finish line. The lesson learned… slow and steady wins the race. In science, students have been learning about living things and their needs. To enhance their learning further, the second grade students recently participated in four different Makerspace Science rotations. While the focus was on creativity and collaboration, students also focused on math, science, and technology standards as they rotated to different classrooms for hands-on fun. 1) students used various units of measure to measure an assortment of plastic animals; after measuring animals, the students created habitats for the animals using various materials. 4) using Life Cycle and Pic Collage apps to create life cycle projects. Classroom teachers involved in this fun-filled learning experience were Kati Adair, Michelle Bolton, Rachel Kistler, Kassie Smith, and Alison Thompson. Chandra Crawford, Literacy Support Specialist, also facilitated a group rotation. A special thank you goes to Shelby Gibson, Karen Phillips, Brooke Doughtie, and John Bimmerle for their guidance and participation in our Bowie Makerspace!